Prime Minister Theresa May speaking in Downing Street in the aftermath of the Salzburg summit. Theresa May guaranteed European citizens their rights would be protected in the event of a no deal Brexit as she demanded the EU treat the UK with “respect” in negotiations. 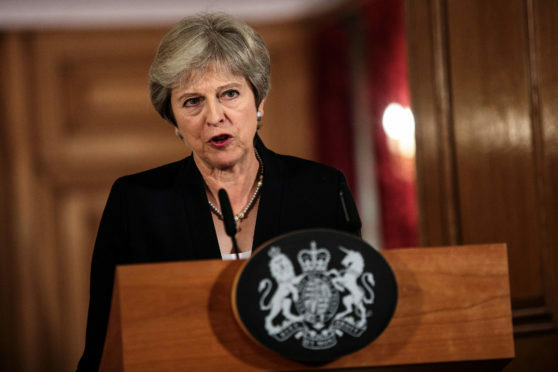 During a speech in Downing Street where she appeared visibly irritated, the Prime Minister said it was “not acceptable” for leaders in Brussels to reject her plan with no alternative at this “late stage of negotiations”. The Conservative leader said the two options being offered by the EU for the long-term relationship – for the UK to stay in the European Economic Area and customs union or a basic free trade agreement – were not acceptable, claiming the latter would “not respect” the Good Friday Agreement. She said: “It is something I will never agree to – indeed, in my judgement it is something no British Prime Minister would ever agree to. If the EU believe I will, they are making a fundamental mistake. Mrs May has said her plan for the UK and EU to share a “common rulebook” for goods, but not services, is the only credible way to avoid a hard border between Northern Ireland and the Republic of Ireland. The speech followed European Council President Donald Tusk rejecting the PM’s proposals at an EU summit this week before posting barbed comments on his social media profiles. During her speech, Mrs May moved to reassure EU citizens living in the UK that, in the event no deal can be reached, “your rights will be protected”. Analysis: What was Theresa May’s Brexit statement all about? First Minister Nicola Sturgeon described the PM’s statement as “dreadful” – as she branded the Chequers proposals a “dead duck”. Ms Sturgeon said while the views of European leaders on the plan had been “bluntly expressed” at the Salzburg summit, they were “not new”. However she claimed Mrs May “just hasn’t been listening”. 1/ PM statement was dreadful. The EU view was bluntly expressed yesterday but not new – she just hasn’t been listening. If her tactic now is to double down on the Chequers dead duck, and then blame EU for a no deal, she will do huge damage to all those she is supposed to serve. In a statement, the SNP leader said: “It would be an abdication of responsibility of huge and historic proportions and an approach for which Theresa May and the Tory party would pay a very heavy political price, especially in Scotland, which overwhelmingly rejected Brexit and whose interests in this process have been ignored at every turn by the UK Government. “What the latest development shows more clearly than ever is that the only remotely workable way for Brexit to happen is for the UK to stay in the single market and customs union. Shadow Brexit secretary Keir Starmer accused the Prime Minister of being “in denial” over the Chequers proposals. 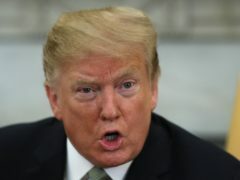 He told BBC News: “The Prime Minister’s negotiating strategy is collapsing around her and that’s why we’re in this impasse and the country is staring down the barrel of no deal. “I think the levels of anxiety are going up around the country day after day and the Prime Minister I think is appearing to be in denial. Scottish Conservative leader Ruth Davidson welcomed Mrs May being “unequivocal on the importance of the integrity of the United Kingdom” and her commitment to negotiating in “good faith”.